From the Tiller Park car park this track passes between two large boulders and quickly has you climbing. The surrounding bush keeps you cool in the shade. There are rest spots with seats and plenty of opportunities to stand and admire the views. Pataua and the Pacific coastline can be seen to the east, together with Whangarei Heads and Mt Manaia to the south. Walk quietly and birds of all sorts will serenade you. This is a truly spectacular walk with plenty to look at and admire. 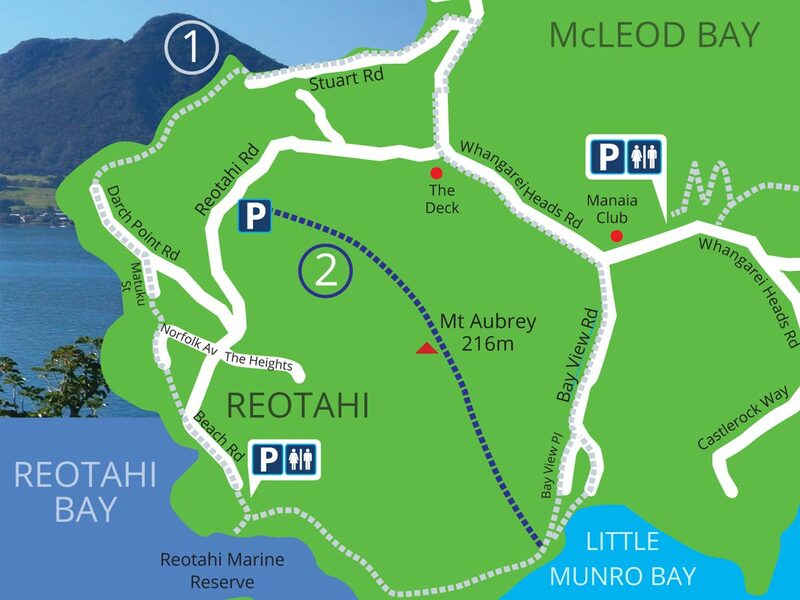 This track can be extended to include the Reotahi Coastal Walkway.